This is the first of two blogs about the challenges of measuring toughness in aluminium extrusions. Toughness is a material’s ability to resist low ductility fracture. In other words, it can accommodate plastic deformation without catastrophic failure. Toughness is a product of alloy selection and an optimised thermo-mechanical processing route. 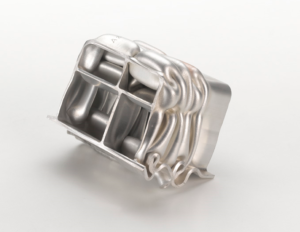 A microstructure that is optimised for toughness needs to accommodate plastic deformation. However, high strength materials are designed to resist deformation. 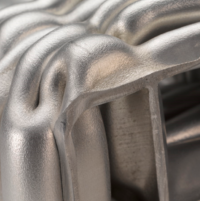 Lightweight automotive structures typically contain both aluminium sheet and aluminium extrusions. The front of the vehicle, where impact protection is a key feature, often contains high strength 6000 series extrusions. These extrusions can have tensile stress values in excess of 400MPa. The fabrication of these structures may involve mechanical fastening (self-piercing rivets), fusion welding and/or adhesive bonding. All these methods require machining and forming of the aluminium extrusions to generate the required joint geometry and form of the vehicle. It is inevitable that, no matter how good the design or how conservative it is, machining and joining sheet and extrusions will generate a feature that includes a region of undesirable geometry. An example of this is a notch. Unfortunately, these features will compromise the mechanical properties of the extrusions. Typically, simulations by Finite Element Analysis incorporate quasi-static mechanical properties such as proof stress and tensile strength. They also include plastic deformation and strain hardening coefficients, as well as assuming that a material is fully isotropic. However, these basic tests offer little information on how a material performs in the presence of a stress raiser. They also don’t tell us whether the material can sustain high stress levels with discontinuities in the structure. For this we need additional material properties which we can use to asses if any specific material can offer a greater or a lesser fracture resistance or toughness. Conventional fracture toughness evaluation is based on a material’s ability to sustain or carry a load in the presence of a stress raiser, such as a crack. The tests involve defining a stress intensity factor, K, which describes the stress field around a crack. The crack size (length), sample geometry and applied stress all have an impact on the value of K. The rate at which a crack can move through a structure, or the crack driving force, is related to K. We call this the strain energy release rate, G. These two parameters are more useful than basic uni-axial tensile data. This is because they give an indication as to whether a material can resist unstable crack growth, which could lead to catastrophic failure. K = √EG, where E is Young’s Modulus. Plane strain fracture toughness K1c is a true material property. It relies upon a notched sample of sufficient critical width that the stress field around the notch is contained within the width of the sample. In other words, it cannot deform laterally outwards. Consequently, as the sample thickness changes, so does the stress state and size of the stress field until we reach the critical width. At this point the stress intensity factor, K, becomes relatively stable. Unfortunately, it’s unlikely that you’d find this geometry requirement in automotive extrusions. As already mentioned, the stress field around a notch changes with material thickness. This important criteria will always preclude comparing extrusions of different thicknesses. As a result, subsequent tests are useful for ranking aluminium extrusions against each other, but not for absolute comparisons. Fortunately, 6000 series aluminium alloys do not exhibit unstable crack growth. However, alloys and process routes are changing to meet lightweighting requirements. This means higher and higher tensile strengths and thinner gauges. In addition to this, some vehicle manufacturers are using 7000 series alloys which require specific thermal treatments to improve toughness such as overaging. This justifies looking at a test technique which is compatible with an extruded product form; round bar. 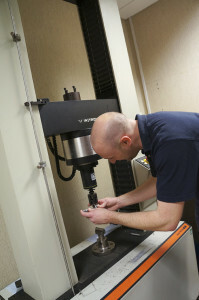 We are working on a test at Innoval which is a variation of the short rod fracture toughness test. I will describe this in my next blog, part 2, as well as introducing some of the tests we already use. In the meantime, if you’d like to know more about the material testing we do at Innoval, including our UKAS certified tests, please click here.